Digital marketing is the preferred way for businesses to use the internet to get their business noticed. In today’s evolving and technologically centered world, a digital marketing strategy is a necessity that no business can plausibly overlook. 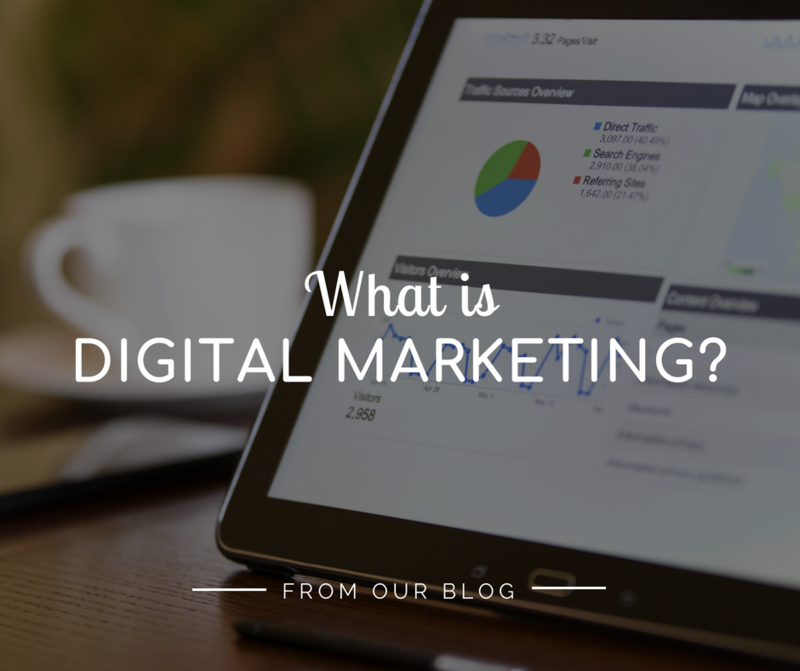 Having a strong digital marketing strategy allows businesses to make a name for themselves. Online marketing has transformed the standard business model and has flipped the marketing industry on its head. Gone are the days of buying billboard space and newspaper ads. In today’s climate, techniques such as Search Engine Optimization, Social Media Marketing and PPC are the most effective tools at a business’s disposal. These modern digital marketing efforts have proven to be an effective way to generate leads for your business as well as naturally attract inbound traffic to your website. Design & Promote, as well as other reputable firms in the industry believe in a well-rounded digital marketing approach. Coupling services such as SEO and Social Media Marketing can aid your company’s efforts in driving traffic to a website. To truly see a benefit from digital marketing, you will have to determine your company’s best way of reaching potential clients. Search Engine Optimization (SEO) – Focuses on utilizing keywords to help your business rank better on the top search engines in the world. By regularly enhancing your web pages content with relevant information, your website can potentially see a huge uptick in organic visits. Pay-Per Click (PPC) – is an effective digital marketing strategy that can help instantly increase traffic on your site. This digital marketing tool immediately increases your website’s potential to gain more leads and conversions on your site. Social Media Marketing (SMM) – Focuses on channels that your potential customers already interact with on a daily basis. SMM creates a great opportunity to interact with customers on a more personal basis, create additional engagement with your company or brand, as well as increase brand/company awareness and loyalty. Email Marketing – Email marketing techniques give businesses an opportunity to enhance the relationship between the business and customers. Emails can be sent with the purpose of acquiring new customers or convincing customers to make a purchase immediately, either of which can lead to increased sales & conversions. How do I know which strategy is right for my business? An effective digital marketing strategy offers countless benefits to business’s looking for long-lasting results. The end goal of any digital marketing campaign is to increase awareness, drive traffic to the site and increase conversion rates. Design & Promote will utilize online marketing services such as Social Media Marketing and SEO to get your business’s name in front of your potential customers by focusing efforts on channels that they already use and targeting the right audience. Design & Promote stays on top of industry trends and is trained in the most up-to-date digital marketing techniques to benefit our clients. By staying up on these trends, we are capable of keeping your business relevant to consumers and increasing your website exposure. Additional website and brand exposure to a potential customer increases the opportunity to generate more leads and conversions. Find an online marketing approach that accurately suits your business and its needs. Schedule a digital marketing consultation today at Design & Promote by calling 630-995-7109.